Refer to the post Self-esteem- Why is it so important? Now answer these questions in positive or negative to test your level of self-esteem. 1. When you see a number of people coming from a direction opposite to that in which you are walking, you feel very uncomfortable. 2. When a friend, colleague, neighbor or a relative achieves or wins something, you find it difficult to appreciate him/her. 3. You often brag about your caste, religion, wealth, property or the achievements of your ancestors or relatives. 4. Though you begin many projects with enthusiasm, you often abandon them midway, because of hurdles and difficulties in implementation. 5. You avoid making decisions or keep consulting a number of people before arriving at a decision. 6. When you enter a meeting place or a hall where a function is being held, you think all eyes are on you and feel self-conscious. 7. When someone asks you a question in public, though you know the answer, you have the tendency to make yourself inconspicuous. 8. When your colleague or a friend gets a special brand or shoes or dress, you feel a sense of deprivation, till you get anything similar. 9. You have a tendency to imitate someone else’s accent or a film actor’s mannerism. 10. You compare yourself with others and feel pangs of jealousy often. 11. You pretend to be what you are not and pretend to be what you have not. 12. You invent excuses when you make a mistake. 13. Even when you sit silent, you find it difficult to relax. 14. You find it difficult to laugh at any error or blunder committed by you. 15. When you are in conversation with someone, your attention is more on what you say than on listening to the other person. 16. When someone passes a critical comment on what you have written, cooked or made, you resolve not to repeat your action in future. 17. You often get dreams in which you fall from a height or are chased by someone. If you can respond to at least 5 statements in the negative, it means you have been gifted with adequate self-esteem. Procrastination - Is low self-esteem causing you to put off doing things that are most important to you? "Shoulds" - Do you need a relentless moral list to dictate your every move? Rigidity - Do you live in a rut because you are too afraid of failing? Over generalization, Global Labels & Polarized Thinking - Does low self-esteem cause you to catastrophize and use the worst labels you can think of? Self-blame and Personalization - Is everything your fault and everyone out to get you? Shyness - Is your fear of being judged by others keeping you from making new friends? Relationships - Is low self-esteem keeping you from having meaningful relationships? Self-acceptance - Does rejection of who you are have you in an adversarial relationship with yourself? Do you believe in yourself? Do you give yourself the credit you deserve? 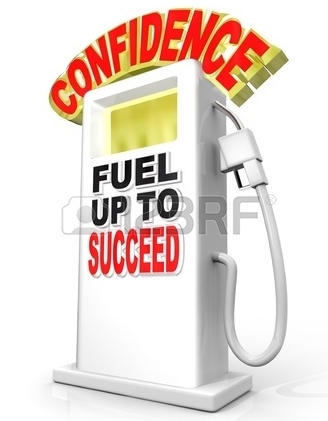 Self-esteem is an integral part of personal happiness, fulfilling relationships and achievement. When you feel great about yourself, you can have a life that's happy and fulfilled. A life that's purposeful. A life filled with love, good health, wealth and abundance! You will be fully convinced of your own abilities. You will see yourself as competent, in control of your own life and able to do what you want. It's all possible, once you know how! 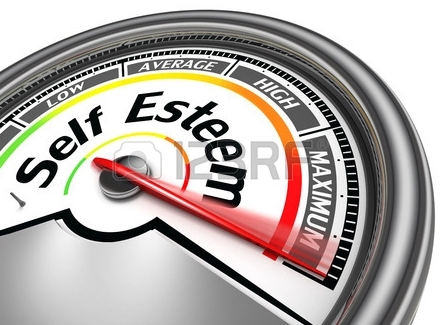 Great blog post on specific behaviors that may indicate you have low self-esteem! I just say may because I struggle with an anxiety disorder and while I usually feel good about myself, sometimes I do in fact suffer from some of these low self-esteem behaviors. So, while it is true that in most cases these behaviors are exhibited by people with low self-esteem, it is not true in all cases. Great post though!